The wonderful Giles Coren has recently reviewed Oblix, the new Rainer Becker restaurant in The Shard – and with his usual controversial wit and genius way with words he has managed to perfectly encapsulate how I feel about The Shard. But just said it much better. The worst bit about the whole thing, is that this famous View (a pointless capital letter if you ask me) is actually a terrible view. It’s high up, fine, and sometimes you can see Surrey or something, but it’s not a nice view of London. It doesn’t make London look good. All you can see are roofs of smaller buildings complete with air vents, pipes and ugly concrete. There’s nothing stunning to look at it. Mainly because it’s in quite an ugly part of the City. The view from The Eye works because you can see all of Westminster, and the river, and old winding streets of Soho. All you can see from The Shard is the occasion view of trains snaking in and out of London Bridge station. Big wow. Don’t believe me? I’m not the only one who thinks so – any of the features from the Shard feature pictures of actual The Shard, rather than pictures of the View. Why? Because it looks rubbish. And to top it all off, it costs a shocking £25 per person to get into The View from the Shard – which is just, by the way, a viewing platform and NOTHING MORE. It doesn’t move, the view doesn’t change and you basically have to book in advance, (on the day tickets are £30) which means you cannot predict if it’s going to be cloudy, which it often is in London. All the PR surrounding the opening was about how this was a great monument for London – something for Londoners to enjoy. And yet everything about its execution screams foreign money and foreign visitors. Clearly a tourist attraction above all else, it doesn’t connect with its local community in any way; the pricing for the View means people will only go once in their lives, if ever; the vile and numerous bouncers on the door make the place feel exclusive and impenetrable, the fact the main attraction has been built and run by Americans means all the money pouring into The Shard is pouring back out into US coffers just as quickly. Such an opportunity to do something amazing for London. Such an opportunity missed. 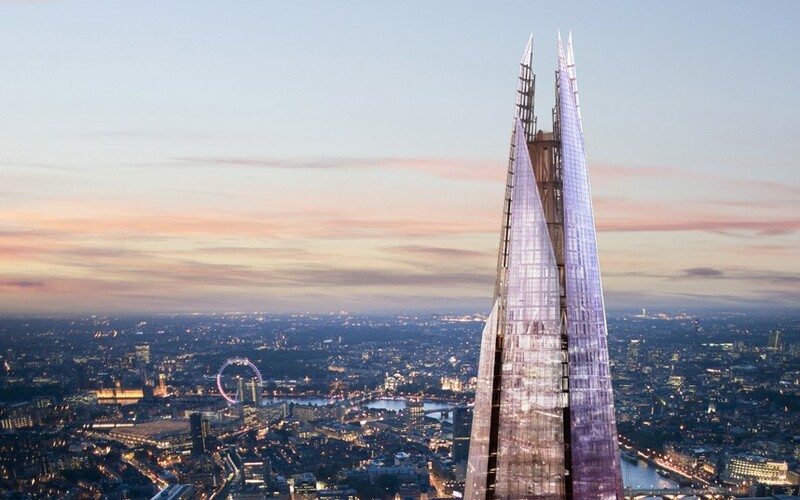 You can read Coren’s full rant about The Shard (and its restaurant Oblix) here.